Zimbabwe Power Company (ZPC) was incorporated in 1996 as an investment vehicle in the generation of electricity and became operational in 1999. The organisation has been authorised to construct, own, operate and maintain power generation stations for the supply of electricity. 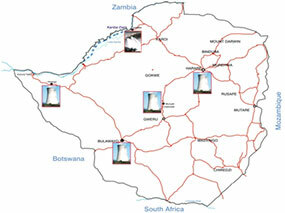 ZPC currently operates four coal fired power stations, Hwange, Bulawayo, Munyati and Harare thermal stations, and one hydro power station, Kariba South Power Station. All five have a total of 1960 MW as installed capacity. To cover constraints on the national grid. To provide an alternative to imports to reduce demand on foreign currency. To sell electricity to the domestic market through PPA's with the Zimbabwe Electricity Transmission and Distribution Company (ZETDC).